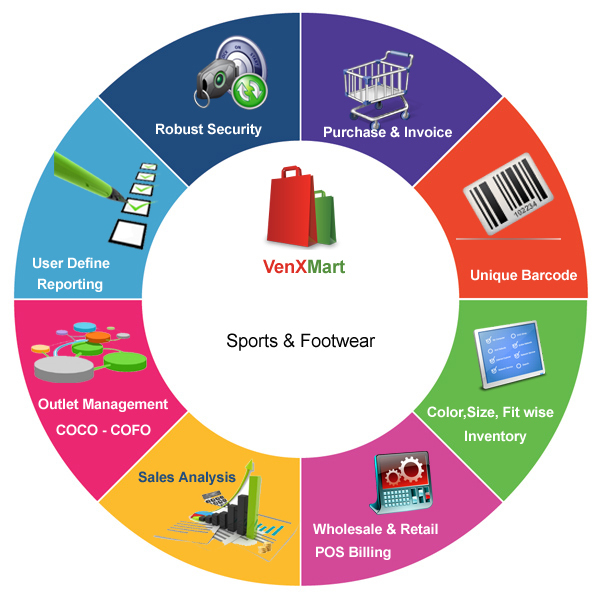 VenXMart Software is dedicated in providing automation solutions for sports and footware Retailors and wholesalers. We have been providing software solutions for this particular industry. We form long term relationships with our clients. Uses the best function throughout the entire program. Reorder reports will be generated. Minimum stock level alerts can be set. Complete inventory track for all attributes related to products. Graphical representation for attribute performance. Various movement reports on different levels. Central attribute data management for multi chain management. Promotions can apply on slow movement stocks (attribute wise).